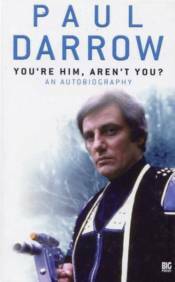 Paul Darrow's career has encompassed theater, television, and film. Famed for his portrayal of ruthless and calculating computer expert Kerr Avon in Terry Nation's science fiction series Blake's 7, Darrow has also appeared in Coronation Street, Emergency Ward 10, and many other productions-including two guest appearances in Doctor Who. Populated by familiar names and productions, this is Paul's own story of his life and career. It tells of his association with Blake's 7-how he was cast, his experiences of making the show, what has happened since, and his memories of Terry Nation, the cast, and the crew. It also tells of his childhood, his time playing Elvis Presley, and his near miss with James Bond.